Depression is a mental disorder characterized by sustained depression of mood, anhedonia, sleep and appetite disturbances, and feelings of worthlessness, guilt, and hopelessness. Diagnostic criteria for a major depressive episode must meet the symptom criteria in the Diagnostic and Statistical Manual of Mental Disorders (DSM-IV), the number indicates the edition). These include a depressed mood, a marked reduction of interest or pleasure in virtually all activities, or both, lasting for at least 2 weeks. In addition, 3 or more of the following must be present: gain or loss of weight, increased or decreased sleep, increased or decreased level of psychomotor activity, fatigue, feelings of guilt or worthlessness, diminished ability to concentrate, think or make decisions and recurring thoughts of death or suicide or attempted suicide. Qigong has been studied for its effects on depression. However, the studies did not study major depressive episodes, but some symptoms of depression resulting from other problems. Tang, et al (19) was a double- blind study in an elderly population of 122 Qigong and 55 Tai Chi practitioners compared to 90 age-matched controls practicing neither. The results demonstrated an improvement in mood, reduction in anxiety and better “quality of sleep” in the intervention group. Wang (20) found improvement in baseline psychological and emotional state correlated with duration of practice of Qigong. In Schwartzman (21), 9 of 13 patients reported benefits from Qigong with a 25-50% improvement in pre-treatment depressed mood. These last two studies showed promise for treating depression but require verification through future double-blind controlled studies and a larger number of test subjects. Wang (22) evaluated mental health condition of 27 persons who had practiced Qigong for four months by using the Symptom Check List 90 (SCL-90). SCL-90 is a questionnaire designed to evaluate a broad range of psychological problems and symptoms of psychopathology. It is useful in measuring the progress and outcomes of treatments or research. Four months of Qigong practice had a significant effect on 13 items but not on depression. Similar research, carried out for more than two years, is also reported in (22). The results of this research indicate that the group practicing Qigong for more than two years had made significant improvements in many factors, including depression, more than the group practicing Qigong for less than two years. However, somatization and paranoid ideation did not show any statistically significant improvements. This research indicates Qigong is not a quick cure and the longer people practice Qigong the better their mental health. More research is needed to devise Qigong methods for certain mental problems. Another investigation undertaken in (22) was the effects of Qigong on 100 cases of psychosomatic disorders resulting from coronary heart disease, hypertension, gastric ulcer and neurasthenia, etc. These 100 subjects were divided into two groups: the first group practiced Qigong for more than two years and the second for less than two years. The effect of Qigong was evaluated by means of a questionnaire of 40 problems devised by the author. The research showed that the curative effect on most symptoms of a particular disorder ranged from 20% to 45%, while the range on symptoms of psychosomatic disorders was from 50% to 80%. The curative effect was higher in the first group than the second. Thirty-three cancer patients were also treated analogously and evaluated by the same questionnaire with similar results. From this research the author thinks that Qigong has a good curative effect on psychosomatic disorders. Symptoms of depression improved, but not significantly, for both Qigong and exercise comparison groups (35, 36). Similar results were obtained when a Tai Chi groups was compared to an educational intervention group (37). Another study (38) reported improved stress, depression, and anxiety symptoms in patients with osteoarthritis for both Tai Chi and hydrotherapy groups compared to a control group of patients waiting for admission to the program. However, the results were only significantly for hydrotherapy. Eighty-two participants with a diagnosis of depression or obvious features of depression were recruited and randomly assigned into the intervention and comparison group (42). The intervention group was given a 16-week period of Qigong practice while the control group participated in a newspaper reading group with same duration and frequency. After eight weeks of Qigong practice there was significant improvements in mood, self-efficacy and personal well being, as compared to the control subjects.After 16 weeks of practice, the improvements were even more pronounced in daily life. DSM-IV defines 12 types of anxiety disorders in the adult population. (i) Panic disorders with or without agaraphobia. (iv) Stress disorders including post-traumatic stress disorders. (v) Generalized anxiety disorders, which include general medical conditions or substance abuse. (vi) Anxiety disorders not otherwise specified to cover symptoms that do not meet the specific DSM-IV criteria for other anxiety disorders. (vii) Anxiety disorders in children and adolescents which includes the separation anxiety disorder which is specific to children. All DSM-IV anxiety disorder diagnoses include a criterion of severity. The anxiety must be severe enough to interfere significantly with the patient’s occupational or educational functioning, social activities or close relationships, and other customary activities. The following Qigong studies were not designed to study specific anxiety disorders according to DSM-IV. However, the subjects in the study had some symptoms of anxiety. Although Qigong was effective for treating these symptoms, further studies are necessary because of the small sample sizes. Li (23) compared 35 Qigong practitioners with age and gender matched controls who received biofeedback using electromyography, all of whom were diagnosed with anxiety, neurosis, headaches, etc. This study found that after two weeks of the intervention, overall measures of frequency and intensity of subjective stress indicators were decreased in male Qigong practitioners as compared to the group receiving biofeedback. There were no significant differences in the group of females. The 8 subjects in (24) all met the criteria for generalized anxiety disorders in the Diagnostic and Statistical Manual of Mental Disorders (DSM –3), where the number indicates the edition). They practiced Fang Song Gong Qigong fifteen minutes every other day for one month. Findings included increased amplitude in alpha wave frequency of EEG; decreases in heart and respiration rate, blood pressure, oxygen consumption, and Galvanic skin response (GSR). There was a significant decreases in anxiety as measured by the Hamilton Anxiety Scale (HAM-A), a rating scale developed to quantify the severity of anxiety by 14 items, each defined by a series of symptoms. Five patients were cured and two were improved, but one patient failed to respond to the Qigong exercise. The effective rate was about 87.5%. This study was limited by the small sample size, short study period, lack of long term follow-up and lack of a control group. In a prospective open study by Kato (25), twenty minutes of combined passive and active Qigong exercises was undertaken by 13 subjects with a decrease in subjective feelings of anxiety. Hutton (26) compared progressive muscle relaxation to Tai Chi for treatment of generalized anxiety symptoms in veterans diagnosed with post traumatic stress disorders (PTSD). Eight veterans were randomly assigned to the two intervention groups. Results included significant decreases in subjective distress in the Tai Chi group with a trend towards lowered heart rate in the Tai Chi group. Bias may have occurred because Tai Chi is more interesting than progressive relaxation. Hence, it is likely that the Tai Chi group practiced more alone and enjoyed it more than the relaxation group. The reports (36, 39, 40) indicated that anxiety decreased significantly for a Qigong group compared to an active exercise group. In (41), 59 subjects (44 men and 15 women) completed all eight rehabilitation sessions. Patients allocated to the two treatment groups had comparable baseline characteristics. 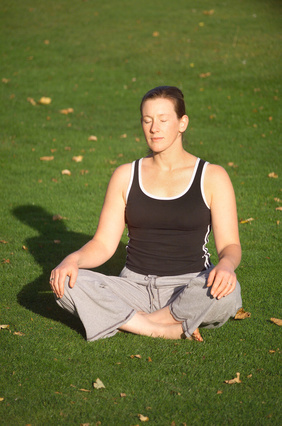 Progressive relaxation was more effective in reducing blood pressures compared to Qigong. Relaxation appeared to be particularly beneficial in somatic domains. The Qigonggroup demonstrated greater improvement in psychological measures in addition to reduction in systolic blood pressure. In (43), 18 participants with TBI, assigned to a control (waiting to learn Tai Chi) group (n = 9) or Tai Chi group (n = 9), completed the Medical Outcome Scale Short Form 36 (SF-36) and Rosenberg Self-Esteem Scale (RSES) before, during, immediately after and 3 weeks after completion of the Tai Chi course. The Tai Chi group completed the Visual Analogue Mood Scales (VAMS) before and after each class. The Tai Chi showed significant improvement on all VAMS scores (except fatigue) with decreases in sadness, confusion, anger, tension, fear and increases in energy and happiness. There were no significant between-group differences on the SF-36 or RSES. Long term studies with a larger sample size should be done to confirm these benefits and to see if they last. Another study (44) of 20 subjects with TBI compared Qigong exercise session for one hour per week over eight weeks. Control participants engaged in non-exercise-based social and leisure activities for the same time period. Outcomes were assessed at baseline and post intervention using the General Health Questionnaire-12, the Physical Self-Description Questionnaire and the Social Support for Exercise Habits Scale, to measure perceived mood, self-esteem, flexibility, coordination, physical activity and social support. This study provides preliminary evidence that a brief Qigong exercise intervention program may improve mood and self-esteem for individuals with traumatic brain injury. There were no significant differences in physical functioning between groups. The result needs to be tested in a large-scale randomized trial. A longer period of Tai Chi practice would probably show significant physical improvements compared to a leisure group. Types A and B personality theory was proposed by Jacob Goldsmith in the 1950’s to describe two contrasting personalities. A Type A individual is described as impatient, aggressive, competitive, ambitious, very competitive, controlling, highly, status conscious, and high-strung. Type B’s are patient, laid-back, easy-going, sometimes procrastinate and not easily stressed. Although controversial, Type A personality is associated with a higher risk of cardiovascular diseases. Some oncologists have recently attempted to characterize patients who have a greater risk of developing cancer. This personality, designated as Type C, has the following traits: denial, rigid control and suppression of emotions (in particular anger), pathological niceness, avoidance of conflicts, exaggerated social desirability, extreme compliance, patience, and rationality. A Type C is more vulnerable to depression than type A or type B, because of their lack of assertiveness which often causes tremendous stress. Type C may not do well in fighting cancer because they tend to accept their fate passively and lack “fighting spirit”. Professor David Spiegel of Stanford Universitydiscovered that cancer patients who joined a support group which fostered a “fighting spirit” had a tendency to live on average, 18 months longer than those who were not in such a group. Professor Johan Denollet, a medical psychologist, developed the concept of Type D personality by observing cardiac patients. Type D personality is distinguished by a tendency towards negativity and. experiences a lot of stress, anger, worry, hostility, tension, and other distressing emotions. This type is also characterized by low self-esteem and social inhibitions, and a tendency towards depression. The prevalence of Type D personality is 21% in the general population and ranges between 18 to 53% in cardiac patients. Research has shown that Type D’s with cardiovascular heart disease have a worse prognosis following a myocardial infarction (MI) as compared to patients without a Type D personality. Type D is also associated with a 4-fold increased risk of mortality, sudden cardiac death, or recurrent MI, independently of traditional risk factors, such as disease severity. The role of Qigong on type A behavior pattern was also studied in (22). A questionnaire of type A behavior pattern was administered to 89 subjects who practiced Qigong and 144 non-practitioners. The research results indicate that the Qigong group’s percentage of type A behavior pattern was 22.43 percent. The non-practitioners’ percentage of type A behavior pattern was 51.39 percent. The Qigong group’s percentage of type A behavior pattern is remarkably lower than the control group. However, Wang did not have the percentage of type A behavior before the 89 people began to practice Qigong. The results may have been biased because type A personalities may not be drawn to Qigong. Another paper (45) also studied the effect of Qigong on Type A personality using Eysenck Personality Questionnaire (EPQ) and Type A Behavior Pattern Questionnaire. One hundred and twenty-two subjects who had practiced Qigong more than two years with a mean age of 65 were used as the experimental group. Ninety subjects aged, over 60, who had never practiced Qigong were used as the control group. The Qigong group contained 39.3% Type A’s compared to 51.1% in the control group. In the second part of the research, all of the subjects were college students aged 21. Fifty subjects had practiced Qigong for more that two years, and 97 subjects had never practiced. The results were similar to the first part of the research. The percentage of Type A’s was significantly lower in the Qigong group than in the control group. The authors realized that there studies might have been biased. Hence, they did a longitudinal study. EPQ and Type a behavior were measured in 158 college students when they started to practice Qigong. Two years later, EPQ and Type A behavior were measured again. Only 33 subjects persisted in practicing Qigong during the two years. The percentage of Type A’s only decreased significantly in the persistent group. There seems to be little research on Qigong and personality types; more is warranted due to the connection with health. 19. Tang, C., et al. Wei X. Effect of qigong on personality. 2nd World Conf. for Acad. Exchange of Medical Qigong, 1993. 20. Wang, J. Role of Qigong on mental health. 2nd World Conf. for Acad. Exch. Medical Qigong, 1993. 21. Schwartzman L. Tai Chi and Parkinson’s disease. 2nd World Congress Qigong, 1998. 22. Wang, J. Role of Qigong on mental health. Conference/Journal: 2nd World Conf. Acad. Exch. Med. Qigong, 1993. 23. Li, et al., A comparative study of Qigong and biofeedback therapy. 2nd International Conference on Qigong, 1988. 24. Shan, H. et al. A preliminary evaluation on Chinese Qigong treatment of anxiety. Conference/Journal: 2nd Int. Conf. on Qigong, 1989. 25. Kato, T., et al. (rec.9220, no title given). Japanese Mind-Body Science, 1, 29-38, 1992. 26. Hutton, D., et al. Alternative relaxation training for combat P.T.S.D. veterans. 3rd World Conf. Acad. Exch. Medical Qigong, 1996. 27. Jin, P. Efficacy of tai chi, brisk walking, meditation, and reading in reducing mental and emotional stress. Journal of Psychosomatic Research, 36(4), 361-370, 1992. 28. Galantino, M. L., et al. The effect of group aerobic exercise and t’ai chi on functional outcomes and quality of life for persons living with acquired immunodeficiency syndrome. Journal of Alternative & Complementary Medicine, 11(6), 1085-92, 2005. 29. Gemmell, C., & Leathem, J. M. A study investigating the effects of tai chi chuan: Individuals with traumatic brain injury compared to controls. Brain Injury, 20(2), 151-156, 2006. 30. Lee, M. S., et al. Impact of qigong exercise on self-efficacy and other cognitive perceptual variables in patients with essential hypertension. J. of Alternative and Complimentary Medicine, 10(4), 675-680, 2004. 31. Li, F., et al. Tai chi as a means to enhance self-esteem: A randomized controlled trial. Journal of Applied Gerontology, 21(1), 70-89, 2002. 32. Lee, L. Y. K., et al. Effect of tai chi on state self-esteem and health related quality of life in older Chinese residential care home residents. Journal of Clinical Nursing, 16(8), 1580-2, 2007. 34. Kutner, N. G., et al. Self-report benefits of tai chi practice by older adults. Journals of Gerontology, 52B(5), 242-6, 1997. 35. Tsang, H. W. H., et al. The effect of qigong on general and psychosocial health of elderly with chronic physical illnesses: A randomized clinical trial. Int. J. of Geriatric Psychiatry, 18(5), 441-9, 2003. 36. Cheung, B. M. Y., et al. Randomized controlled trial of qigong in the treatment of mild essential hypertension. Journal of Human Hypertension, 19(9), 697-704, 2005. 37. Irwin, M. R., et al. Augmenting immune responses to varicella zoster virus in older adults: A randomized, controlled trial of tai chi. J. of the American Geriatrics Society, 55(4), 511-7, 2007. 38. Fransen, M., et al. Physical activity for osteoarthritis management: A randomized controlled clinical trial evaluating hydrotherapy or tai chi classes. Arthritis & Rheumatism, 57(3), 407-14, 2007. 39. Lee, M. S., et al. Effects of qigong on blood pressure, blood pressure determinants and ventilatory function in middle-aged patients with essential hypertension. The American Journal of Chinese Medicine, 31(3), 489-497, 2003. 40. Tsai, J., et al. The beneficial effects of tai chi chuan on blood pressure and lipid profile and anxiety in a randomized controlled trial. The Journal of Alternative and Complimentary Medicine., 9(5), 747-754, 2003. 41. Peggy Ngor Hui, et al. An evaluation of two behavioral rehabilitation programs, qigong versus progressive relaxation, in improving the quality of life in cardiac patients. The Journal of Alternative and Complementary Medicine, 12(4): 373-378, 2006. 42. Hector W. H. Tsang, et al. Effect of a qigong exercise program on elderly with depression. International Journal of Geriatric Psychiatry, Vol. 21, 9, 890–97, September 2006. 43. Gemmel, C. and Leathem, J.M. A study investigating the effects of Tai Chi Chuan: Individuals with traumatic brain injury compared to controls. Vol. 20, No. 2, 151-156, 2006. 44. Blake, H. and Batson, M. Exercise intervention in brain injury: a pilot randomized study of Tai Chi Qigong. Clin. Rehabil., July 23(7), 589-98, 2009. 45. Tang, C., and Wei X. Effect of qigong on personality. 2nd World Conf. for Acad. Exchg. of Medical Qigong, 1993. . This entry was posted in Scientific Qi Exploration and tagged anxiety, brain injury, depression, intelligence, mental illness, personality types, Psychological Effects of Qigong., psychology, Qigong, Scientific Qi Exploration, tai chi. Bookmark the permalink.